For 20 years now, lead shot hasn't legally left the barrel of a shotgun pointed at a duck or goose in America. But not everyone's breaking out the confetti and cake to celebrate. 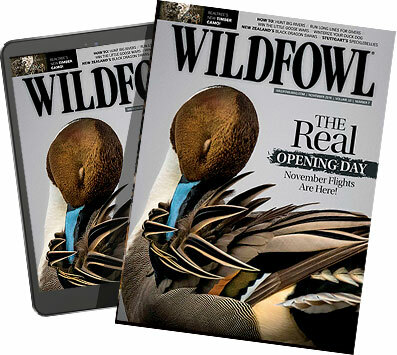 It's a 20-year anniversary for 2011 that still spurs controversy over whether the loss of top-notch, affordable and gun-safe ammunition was worth the number of potential birds saved after the nationwide lead ban took effect in 1991. From the perspective of Ken Richkus, chief of the Branch of Population and Habitat Assessment in the Division of Migratory Bird Management at the U.S. Fish and Wildlife Service, the benefits of the ban are clear. "We're looking at about a million to a million and a half ducks a year, in general, that do not die from lead poisoning due to the ban on lead shot," Richkus said. "That's relative to what we saw in the 1980s." Twenty years allowed the environment to grow around the former lead pellets that still dot the marshes, fields, ponds and forests where the waterfowl roam. Now, the existing lead pellets have been further diluted, and the chances of a bird picking up those pellets are a lot less. This all sounds well and good, but considering the clean kills that lead shot so efficiently made on waterfowl, one can't help but question whether the crippling rate has increased with these ammo alternatives. To break down the numbers, Richkus said the USFWS looks at the annual harvest inventory program surveys (HIPs), which waterfowlers voluntarily fill out following a season. Specifically, the survey asks how many birds were knocked down but not retrieved to gather an idea of crippling loss. Of course, because it's an open-ended question, it's open to interpretation — even the definition of a cripple is debatable. But the surveys are the simplest way to obtain crippling data, Richkus said, and because they're conducted regularly, comparisons can be easily drawn up. Based on these generalizations, the crippling rate from the 1950s up through the mid-1980s was about 20 percent for waterfowl. When the lead ban began being phased in in 1987, Richkus said they actually saw those numbers increase to about 23 or 24 percent through the early 1990s; some hunters feel it was even higher. Then a few years after the ban took effect, the crippling rate dropped to normal rates again, claims Richkus. "What you're seeing there is when steel was first implemented, it took hunters some time to get used to the new ammunition and be able to adjust their shots accordingly," Richkus noted. "A couple years after the ban, we're back to the 18, 19 percent crippling rates." That number declined even further to about 14 percent recently, which Richkus credits to any number of factors that aren't certain yet without more research. "It could be due to better ammunition alternatives, or hunting tools like roboducks bringing birds in closer so hunters have an easier time killing those birds," he said. To further celebrate the 20th anniversary of lead shot getting shot down, ammo manufacturers are still introducing effective non-toxic options in abundance. More modern materials in shotshells like tungsten and bismuth have made for dense, high-velocity ammo options, but steel is still the most common for waterfowling. As a result, hunters down ducks with steel with a bit more ease than before. Waterfowlers have learned that they can't just take shots at 60 or 70 yards, Richkus said. "In the last few years, the crippling rates for ducks are the lowest since we started keeping track in the mid-1950s," he added.